Design, décor and styling of the venue can transform the look and the feel of the entire event. 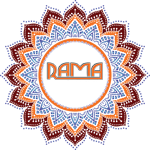 Here at Rama Events our designers ensure that the decor is not only elegant but also complimenting the look of the venue. The aim is to transform and exceed your vision into a breathtaking reality. We specialize in giving you exactly what you want, so whether it’s an elaborate set design, a traditional gazebo, an exquisite centerpiece or a simple and elegant floral décor we deliver it all.